My Winter Photography.... Is Spring On Its Way Yet? My Winter Photography…. Is Spring On Its Way Yet? Today, is the first day of metorological spring… it couldn’t be more un-spring like if it tried! It is cold, it’s grey, it’s wet, and it’s miserable. Just when I think that maybe, just maybe, we are stepping out of winter… this grimness arrives. A shame, as yesterday was rather sunny. At this point in my life, I have no doubt whatsoever in my mind that I suffer from Seasonal Affected Disorder (SAD), because yesterday I had a spring in my step, and today, I have a blah in my heart. I keep hoping I’ll win the lottery so I can move warmer, sunnier climes, and feel happy every day. 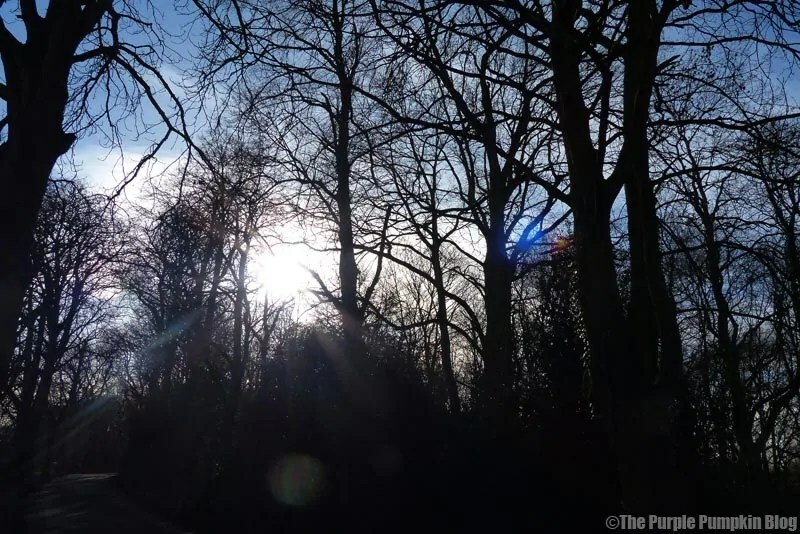 Anyway, because it feels more like winter than spring today, I thought I would share some winter photography from Bedfords Park (my favourite place to just get away from it all), with you. It’s been a while since I shared a photography post here on my blog, especially now that Project 365 is on hiatus for me in 2016 – but there is Project 52 to check out if you like. 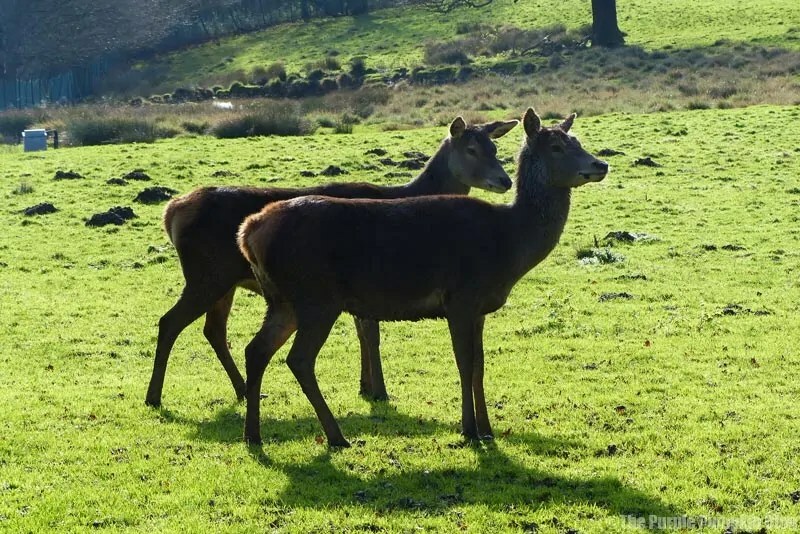 I’ve shared many photos that I’ve taken at Bedfords Park over the years, as well as a post telling you all about it, should you happen to ever come to my neck of the woods, but there is always room on my blog for more! Looking at these, I do honestly feel like I’ve stagnated a bit with my photography. I am planning on buying a new camera this year, probably staying with a bridge camera, even though I’ve toyed with the idea of a DSLR for a while, I don’t know if I have the mental energy to start learning again from scratch… we’ll see. As much as I dislike the cold, it’s quite nice to go out for a walk, get some fresh air, and clear your mind. I actually love seeing the trees devoid of leaves, it’s like looking at the inner soul of a tree. I love the shapes that each branch and twig make, and you’ll find a lot of photographs from me of bare trees, especially in silhouette against the sky. A few deer were out to play in the paddock. Didn’t spot any stags though… I love the antlers on stags – more interesting shapes through my lens. 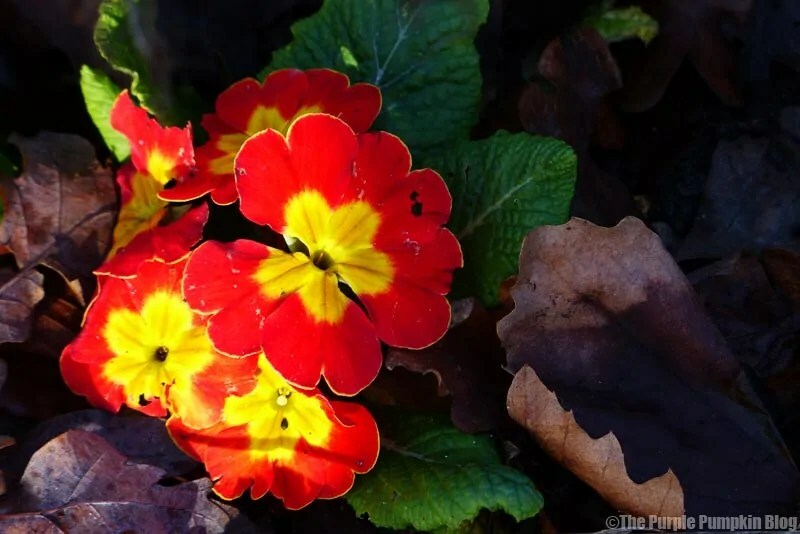 The colour in the park is very muted during the winter months – but there were pops of colour from some bright red flowers in the sensory garden, I can’t think what they are called, I’m guessing maybe polyanthus? 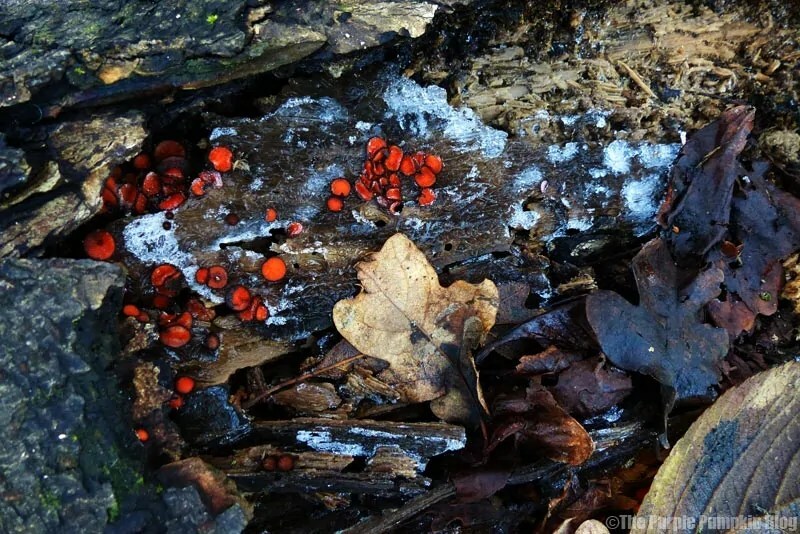 Additionally, there was more red in some twigs, nestled amongst more twigs, and some tall grasses, and tiny red fungi on a fallen log. 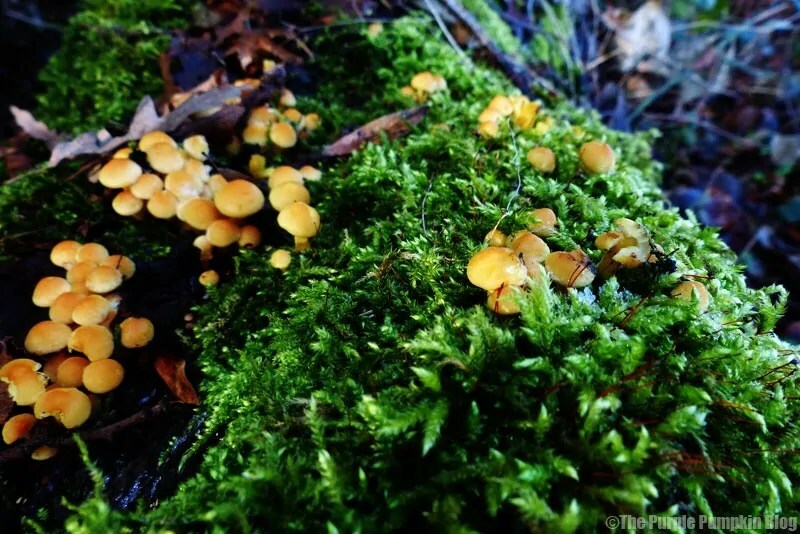 Speaking of fungi, I saw a few clusters of shrooms on this walkabout. 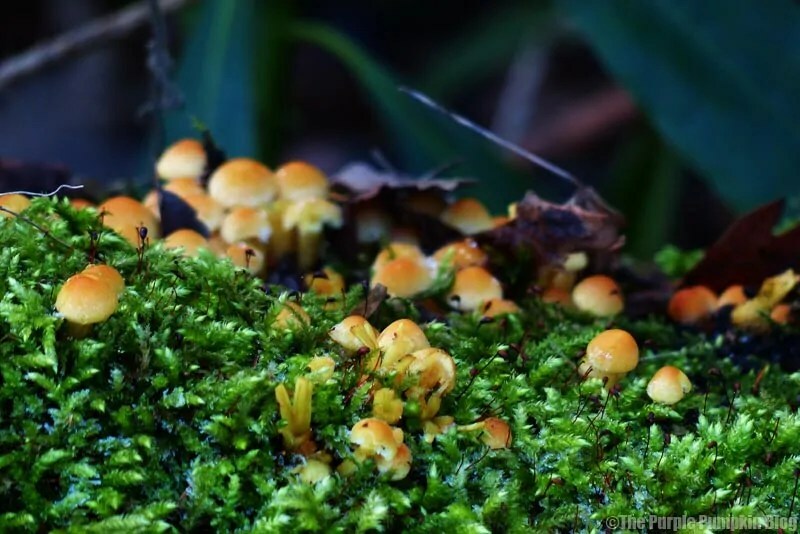 My eyes seem to be conditioned to finding them whenever I’m out walking in the forest. I always think of them as nature’s treasure! 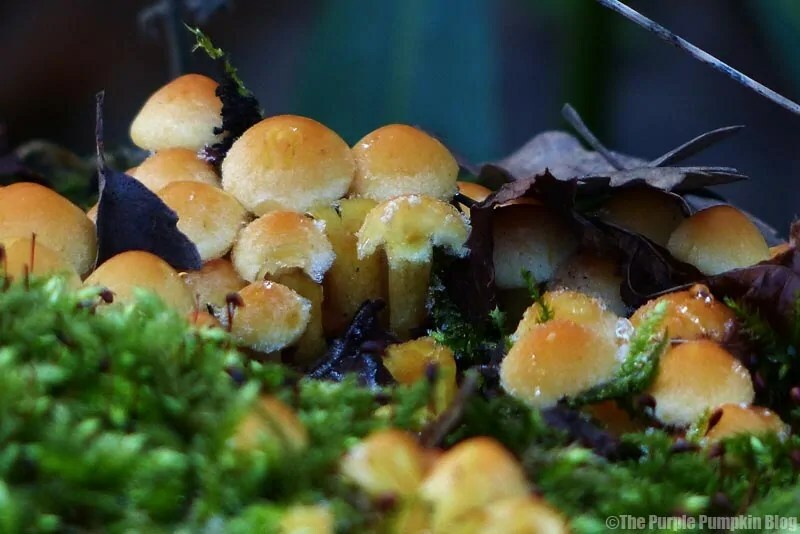 I have run a rather flaky Fungi Friday series on my blog over the years. I guess I stopped doing it, because I stopped going out so much. Something to get back into, as I do love taking photographs of them. 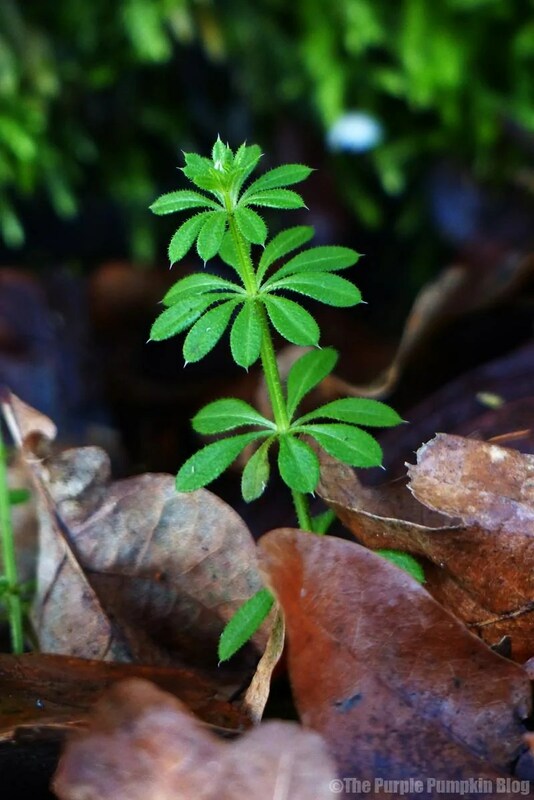 And finally a new plant, poking through the mulchy leaves… reminding us that spring isn’t so far away? beautiful photography, I love that you can see the beauty of nature in the cold months. Today we are having a mixture of sunshine and snow, British weather, you just can’t beat it for variety! 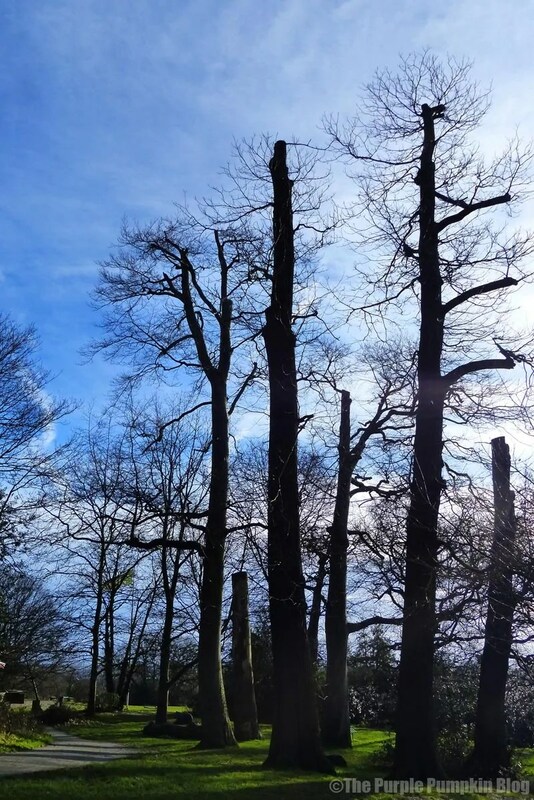 Lovely pictures – I love skeletal trees against blue skies – I have so many pics of them on my phone at the moment!